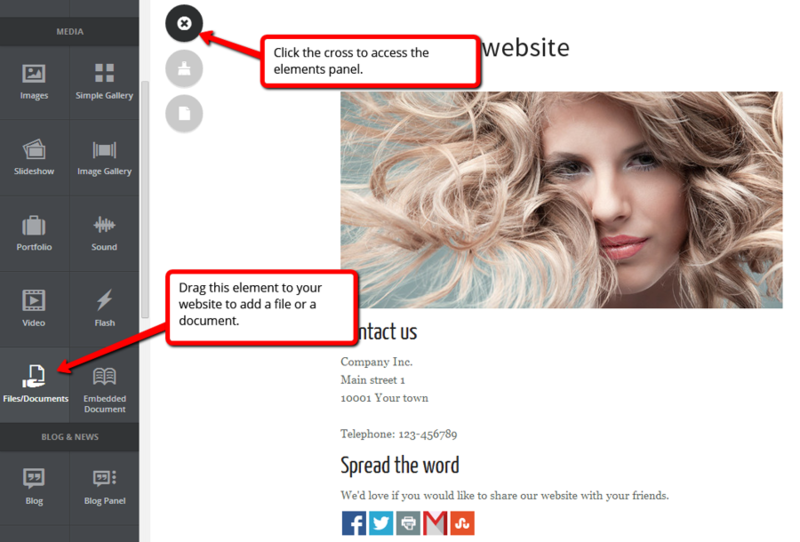 In our elements library, there is a Files/Document block that allows you to upload files and documents to your website. To add a file or a document, click and drag the block to your website canvas. When you add the Files/Document block to your website, this box will appear. 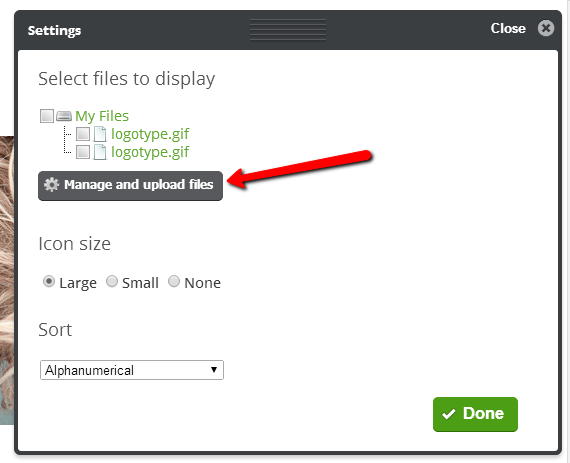 Click Manage and upload files to upload. 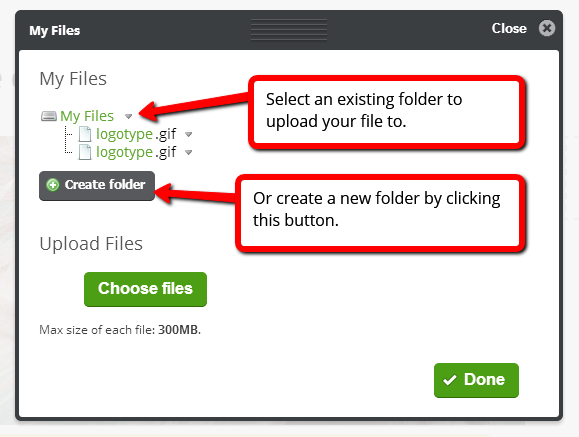 Start by uploading to an existing folder or create a new one. 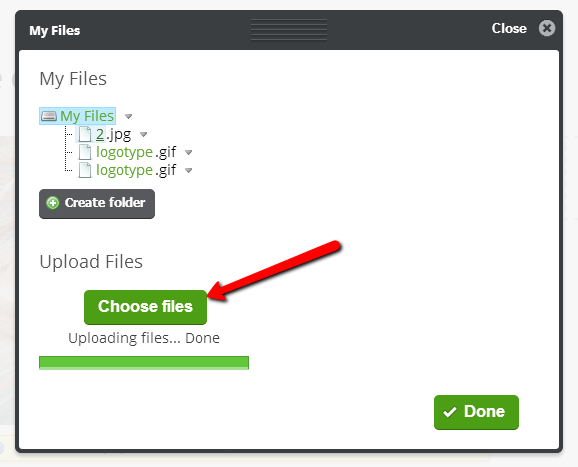 Click Choose files to locate the file you wish to upload. Once uploaded, your file will appear in the chosen folder. Mouse over the Files/Documents block and click Settings. 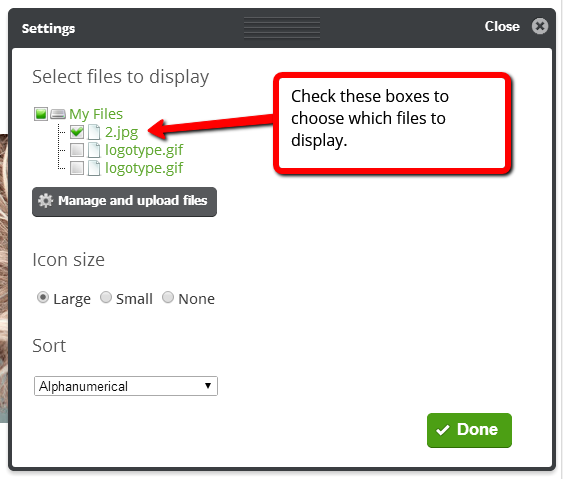 Select which files you wish to display in the block by checking the boxes next to the files. Every file type gets its own icon. Below are the icons available for different types of files. If your file type is not among those represented by our icons, it will be shown as a white icon (also shown below). Uploaded files can be linked.